Daniel Clark Files, MD, conducts preclinical and clinical research in critical care, pulmonary disease, skeletal muscle and aging biology, in addition to practicing clinical pulmonary and critical care medicine. He collaborates with industry to conduct clinical trials on various aspects of critical illness, including antibiotics, medical devices, nutrition and therapeutics. Daniel Clark Files, MD, earned his medical degree from the University of Mississippi School of Medicine in 2003. He completed his internship and residency in internal medicine at Vanderbilt University before moving to Johns Hopkins School of Medicine to train in pulmonary critical care medicine and basic science research. 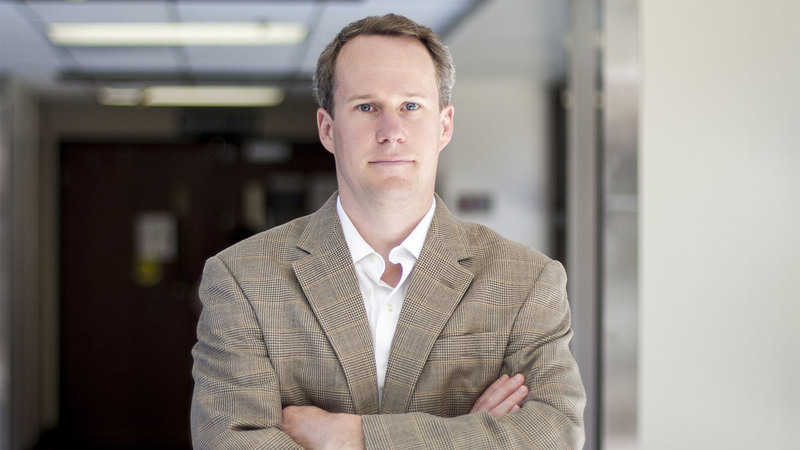 He joined the department of pulmonary, critical care, allergy and immunologic medicine of Wake Forest School of Medicine in 2011 in order to broaden his preclinical work into clinical trials by collaborating with the medical center’s critical care clinical trials group and researchers at the Sticht Center on Aging. Files focuses on understanding the process of functional disability and muscle atrophy in the context of critical illness. Using a “bedside to bench to bedside” approach, he uses clinical observations to develop preclinical models in hopes of translating these findings back into humans. His team has created a preclinical model of early mobility to study the mechanisms underlying the benefits of early physical therapy in critically ill patients. Collaborating with his former laboratory at Johns Hopkins, Files seeks to understand the immune responses underlying the resolution of lung inflammation. In addition, he is the co-principal investigator at Wake Forest Baptist for the Prevention and Early Treatment of Acute Lung Injury (PETAL) network, part of the National Heart, Lung, and Blood Institute of the National Institutes of Health (NIH). This network develops and conducts clinical trials focused on early prevention and treatment of lung injury. In his research on aging, Files investigates the critical conditions of acute respiratory distress syndrome and sepsis. Even though older patients develop and die from these diseases more frequently than younger patients, clinical studies of these diseases are conducted in younger and healthier populations, and older populations are frequently excluded due to co-morbidities. Files collaborates with the Sticht Center on Aging in order to better understand and treat life-threatening illnesses in older adults. Files works extensively on industry-sponsored clinical trials in critical care. As a principal investigator, he investigates aspects of critical illness, including antibiotics, medical devices, nutrition and therapeutics. He believes that industry relationships strengthen his research and patient care as companies provide insights into potential therapies and treatments, as well as supplying resources that improve the quality and infrastructure of clinical research. In turn, industry sponsors benefit from these collaborations by gaining access to a strong clinical trials program and unique critical care populations, along with Files’ expertise in preclinical and clinical research.